Whether you're looking for a way to cook hot meals for a tired crew or a way to pour beverages at a local event, Western Shelter can create a mobile option tailored to your needs. 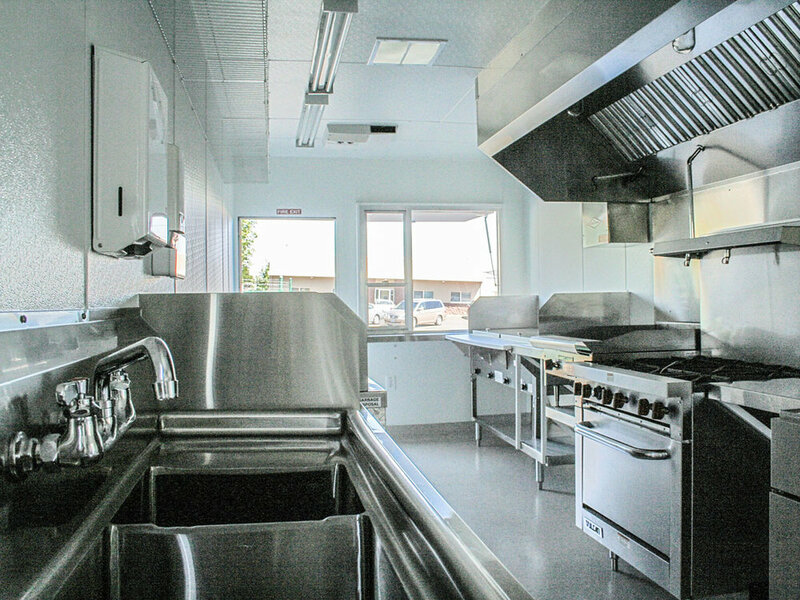 Our mobile food and beverage solutions include commercial-grade kitchens that can be combined with our shelters to create fully enclosed dining facilities. Ease of use, durability, and energy efficiency were the driving factors behind the design of Western Shelter’s Containerized Kitchen. This system requires minimal effort on site to become operational, and can just as easily be redeployed to another location. With insulated freezer curtains and a front-mounted refrigeration unit, the Western Shelter tap trailer will keep your beverages cold. Tap trailers can be custom fabricated to include various tap configurations, and include a diamond plate drip pan and interior floor. By using only the highest quality materials and construction, we ensure our mobility solutions are built to last. Attention to detail is of upmost importance to Western Shelter and our products. Our mobile food and beverage options are outfitted with high quality equipment to get the job done right, and source all necessary equipment for you. We can customize any of our kitchens or trailers to include whatever it is that your project requires. Our mobility options are constructed to be easily configured with other Western Shelter products. Combine a container-based kitchen with a GateKeeper 1935 to create a complete mess hall that's quickly deployable and will stand up to the elements in the field. A tap trailer with a Ruggedized Pop-Up creates a shaded serving solution for events in any season.